1. This device for crabs, coin, the products will have crabs after successive climbed out, the child simply wave hit with hammer. 2. 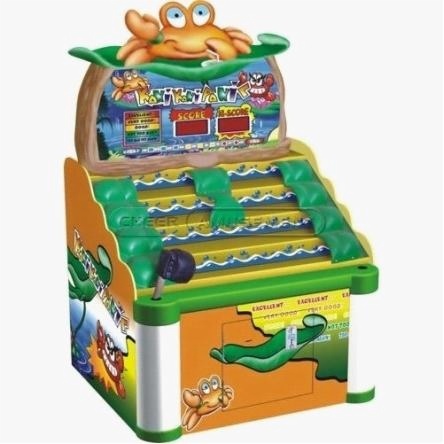 Product color bright, with green is given priority to, the crab out of place for three stairs shape, the product in front of the screen, the above print lovely and interesting. 3. The product has the largest play value and investment value, and pro product also have different color and theme for you to choose.